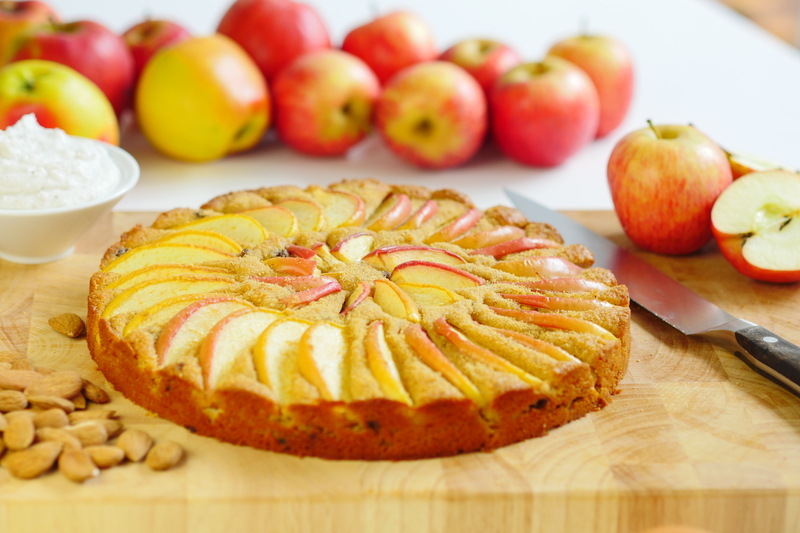 This golden brown apple-almond cake is a real autumn treat. Deliciously flavourful and not too sweet. It is gluten-free because I use almond meal instead of wheat flour. And baking time is short because the cake is quite flat.